Right now the London region is one of the few in the country that isn't infested with giant hogweed, but the local conservation authority says it won't stay that way for long. The Upper Thames Valley Conservation Authority says it's only a matter of time before the London region sees a largescale invasion of giant hogweed, a huge toxic invasive weed that's considered a public health hazard in Ontario. The plant produces a toxic sap that, when it comes in contact with human skin and is exposed to sunlight can cause rashes, blisters and even permanent scarring. Right now conservation officials say they kill between 10 to 12 of the plants in the London area each spring, and while they say an increase in their numbers is a certainty, they don't know when exactly it will happen. "We know that simply because there's a massive seed source along the Thames River starting at Mitchell and maybe even north of Mitchell," said Brandon Williamson, a land management technician with the Upper Thames River Conservation Authority. "Mitchell, down to St Marys we know there's a ton of it along the Thames River, both sides, so it will be coming," he said. A seed head on a fully mature giant hogweed plant can produce more than 100,000 seeds and there's concerns that this spring's widespread flooding along the Thames River, has carried the plant's seeds downstream into the London area. The problem is the seeds can stay viable for up to 15 years after they've been released from the seed head, meaning they could technically sprout more than a decade after being swept into the community by floodwaters. 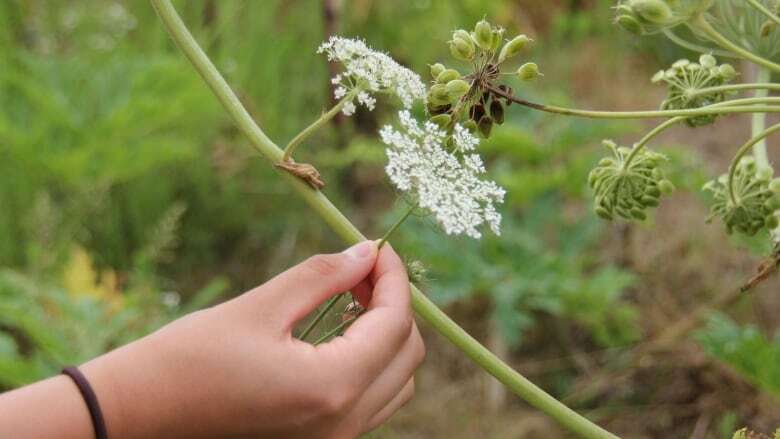 Right now officials see few giant hogweed plants in the London area, with 90 per cent of the reports being either purple-stemmed angelica, cow parsnip or common hogweed, three similar-looking plants that are related to the toxic weed. News of the predicted invasion comes amid reports of the toxic weed spreading further across southwestern Ontario. The Nature Conservancy of Canada said that while the epicentre of the infestation of the province by giant hogweed remains primarily in the Hamilton, Halton and Mississauga areas, the weed is starting to make its way westwards. "It's made its way over to the shorelines of Lake Huron, it's even made it's way into Northern Ontario. There's been observations in Sudbury all the way out to Ottawa, so it's really making it's way throughout Ontario," said Kristyn Ferguson, the agency's acting director of conservation for Ontario. In fact, the agency says the London area and the north shore of Lake Erie are two parts of Ontario where it receives few reports of the invasive weed. But that may soon change. 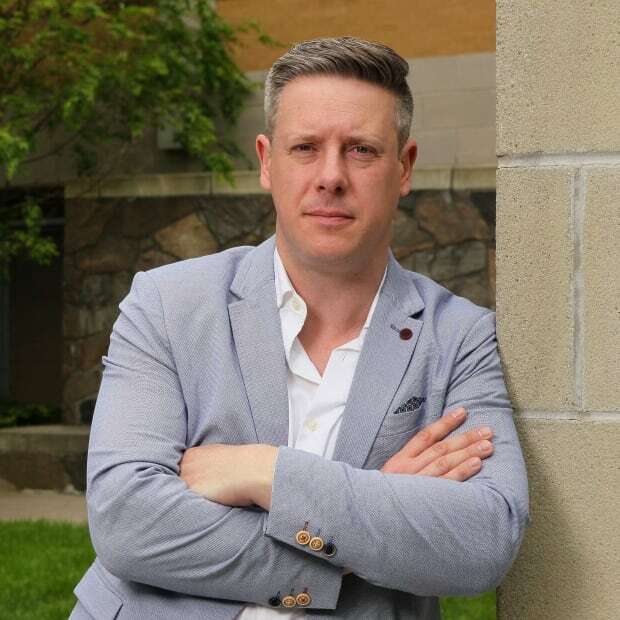 "It isn't as prevalent in this part of Southwestern Ontario as it is in the GTA, which is good. That means there are scattered plants here and there and that is the start of an invasion," she said. Ferguson said that with only a few plants around, the London region is in a prime position to prevent the weed's advance into the region. "That's actually the best time to make sure you're properly identifying it, recording it, reporting it to the right people and ensuring you can get ahead of an invasion before it becomes a huge problem," she said. "Three giant hogweed plants compared to three hundred giant hogweed plants is a completely different scale of problem."